Prestec have just completed the refurbishment of a former Victorian warehouse for Bam Construction. 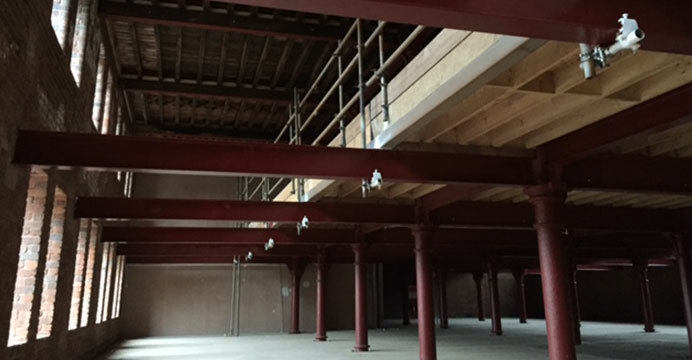 The works consisted of blast cleaning, adding protective treatments to the original steel stanchions and columns, and brick cleaning the external walls using combined methods of sand blasting and Doff system. The landmark building is now being marketed for high end mixed use.